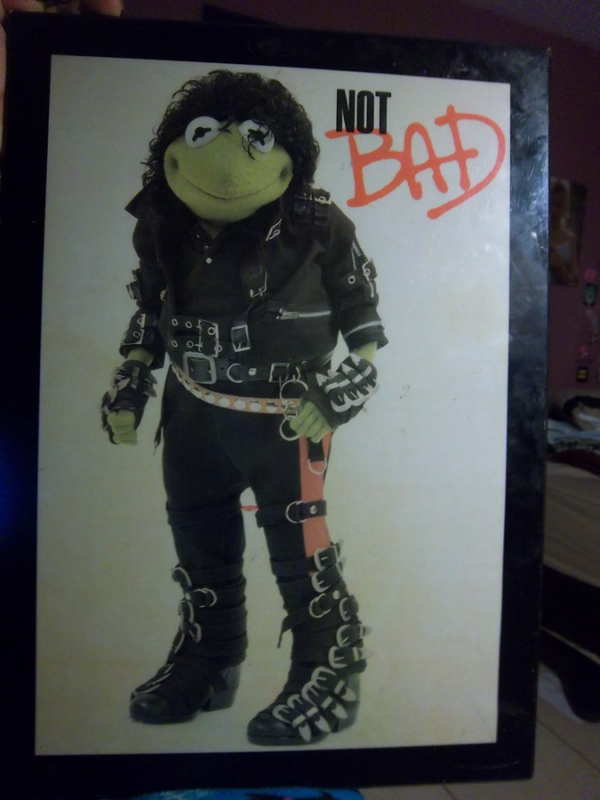 I was wondering if anyone could help me out with finding out what this picture of Kermit the Frog dressed up as Michael Jackson is worth. I looked all over the net (Google Images) and found nothing similar. No photos like it either. On the back it says "This THERMO PLAQUE Finished In" and then it has black & gloss checked off. Any help finding it's worth would be greatly appreciated.